The perfect solution to yachting in Singapore is this gorgeous Princess Flybridge 58 motor yacht. Excellent condition, full time crew, fully outfitted and now 1/4 share of the ownership syndicate is available for only USD$175,000. Share all of the costs in 25% pro rata share with the other three expat owners. 25% of the maintenance costs, 25% of the berthing costs, 25% of the insurance and as much boating time as you want. Beautiful flybridge yacht with all of the amenities, including genset & air con, fully galley kitchen with all appliances, spacious lounging areas on foredeck, cockpit & flybridge as well as in the salon with wet bar and pop-up TV theatre system. An immense amount of luxury yachting fun for the money. West Florida Yachts would love to guide you through a personal showing of this 55' Princess 58 Flybridge 2007. 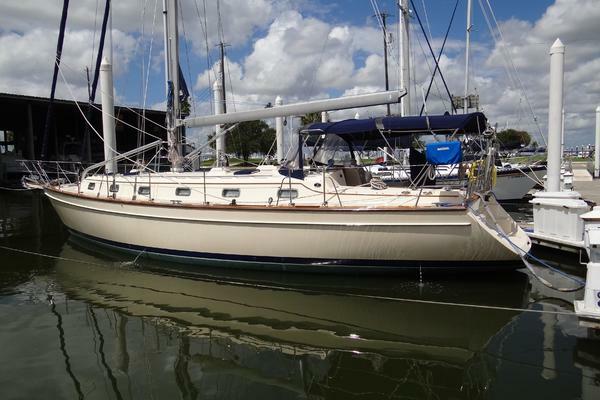 This yacht for sale is located in Unknown Singapore and priced at $154,900. For a showing please contact us by filling out the form on this page and we will get back to you shortly! With characteristically effortless handling, strong acceleration and high cruising speed, the Princess 58 is an exhilarating and extremely capable craft. Her refined deep V hull ensures confident and assured seakeeping for a smooth journey and genuine long-distance cruising ability, bringing new destinations within easy reach. Life aboard the Princess 58 centers on the class-leading main deck, with a huge saloon and airy,open plan layout. A separate, raised dinette links the main deck to the galley below, situated beneath the forward screens to benefit from a flood of natural light. There is also the luxury of a separate cocktail bar, including glass and bottle storage, refrigerator and ice maker, all in close proximity to saloon, dinette and cockpit. With the galley down, the equipment levels and storage space are extremely generous, offering a full-height refrigerator and a laundry washer / dryer. Below deck, the rich materials evoke a feeling of timeless elegance The full beam owner’s stateroom and VIP cabin are both ensuite, while the starboard twin cabin benefits from full headroom throughout. The aft cabin has its own bath and makes optimum use of the space available to incorporate two bunks for crew or occasional guests. The boat is outfitted with all of the upgrades available from the manufacturer, including cherry woodwork, leather upholstery, intergrated navigation electronics, bow and stern thrusters, upgraded ‘Tropical’ air conditioning (4 units totalling 60,000 btus). There are mosquitos screens on all opening ports and a huge Sunbrella bimini on the flybridge to block the midday sun. Combined with her considerable abilities at sea, the luxurious living space ensures the Princess 58 is the perfect place to unwind in style and comfort. This seemingly flawless Princess 58 Flybridge benefits from the fact that there are four fastidious owners, all experienced boat owners and all in agreement that the boat should be in excellent condition when they go down with family & friends to use the boat. The full-time skipper has been with the boat for 3 years and is a very gracious and accommodating chap. He works hard to ensure that if an owner calls with a spontaneous evening cruise, that the boat is fueled, clean and ready to go. It really takes all of the pain and hassle out of boat ownership to have a boat that's always ready to go and with the cost only 25% of the total maintenance and operations, it's a no-brainer way to get into boating in Singapore. From the front, there is a forward VIP stateroom with ensuite bath. aft and to starboard is the guest bath and aft of that is the guest stateroom with twin berths and abundant storage. Across to port is a modern and functional galley with full size fridge, electric cooktop, convection microwave oven and dishwasher. Aft, to mid-ships is the full-beam master stateroom with a center-line queen size berth, abundant storage and plenty of light. The ensuite bath is roomy and bright. Aft and up is the dinette to port with a 360 degree view of the surrounding anchorage. Across is a concealed cocktail bar with a fridge, icemaker and storage for glassware and bottles. Aft and down a step is the elegant and comfortable salon with leather upholstery, accent lighting and a flatscreen HD TV cleverly hidden in cabinetry with an electric lift. Aft of the salon, on the same level is the cockpit with integrated seating and access to the transom and the dock via a telescoping passerelle which doubles as a davit for launching your tender. Down a ladder through a hatch from the cockpit is the crew quarters with two bunks and another bath. From the cockpit, there is comfortable access to the foredeck sun loungers along broad side decks or up to the huge flybridge via stairs. The flybridge is the fun zone, with huge lounging beds, seating for a dozen or more, a dinette, BBQ, and a wetbar. It's the place to see and be seen. There is also a clever fridge built in to the starboard settee, which doubles as an arm rest. The upper helm offers a commmanding view of the waters around for the skipper and first mate. This is a flybridge that would make most larger boat owners envious.